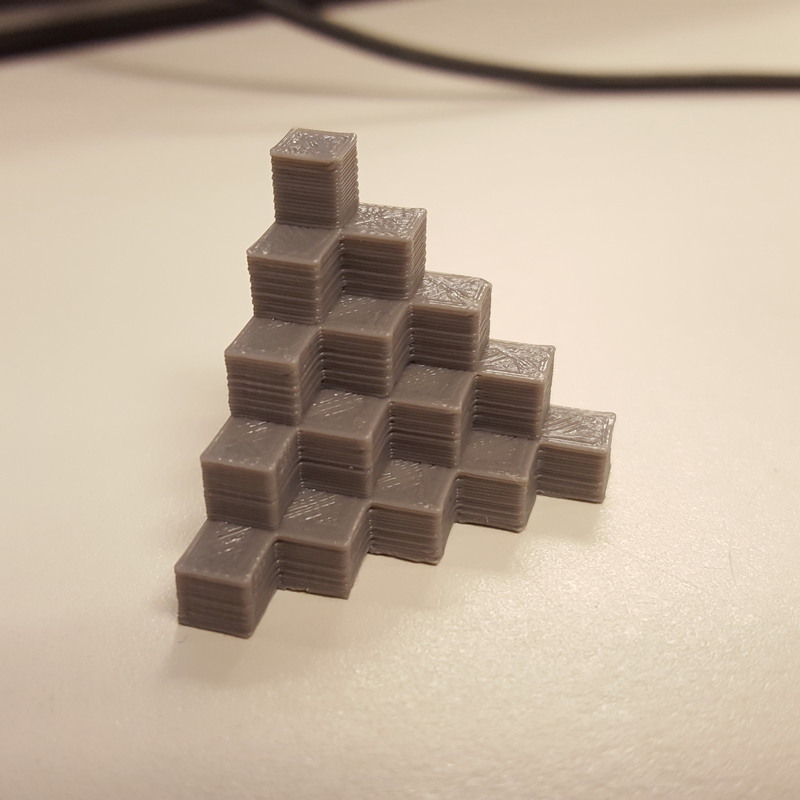 This is a simple calibration object designed to test accuracy of your x, y and z axis linear travel, angular alignment and slicing settings, with some small bridges thrown in. I took the original binary STL file, exported it as an ASCII STL file through Rhino, and then hand edited the vertices to make sure they were in whole numbers (e.g. 5mm instead of 4.99999613mm). I also reset the origin to the base of the "spine" where the steps reach their peak, and made sure that the steps went away from the origin in the +x and +y directions. My first print. Great calibration model. 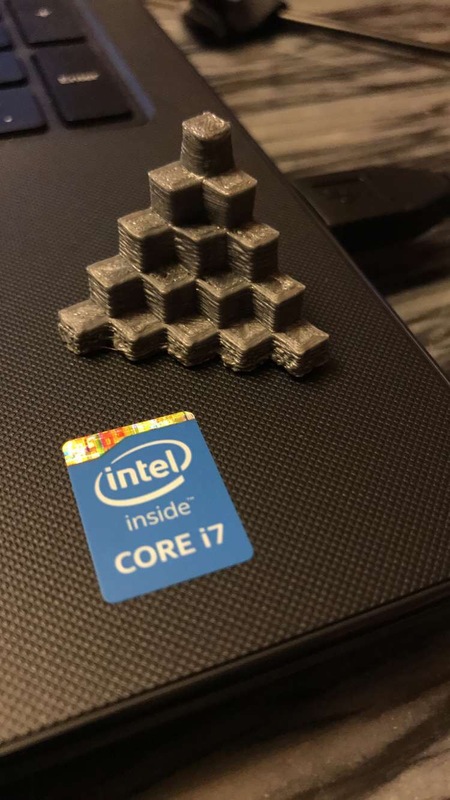 Helped me get a better idea of my printer's capabilities and where it needs improvement. Awesome design, printed out perfectly.